The Hope Elephants facility was blocked off to cars Tuesday in Hope. 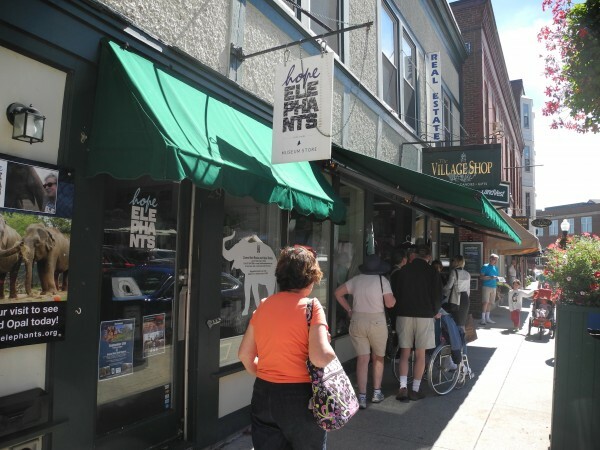 The Hope Elephants storefront in downtown Camden was shuttered Tuesday after Dr. Jim Laurita, the co-founder of the nonprofit organization, was found dead in the elephant barn. Jim Laurita, a Rockport veterinarian, founded Hope Elephants with his brother, Tom. Asian elephants Rosie, 43, and Opal, 41, enjoy the outdoors in Hope. Hope Elephants Rosie and Opal. 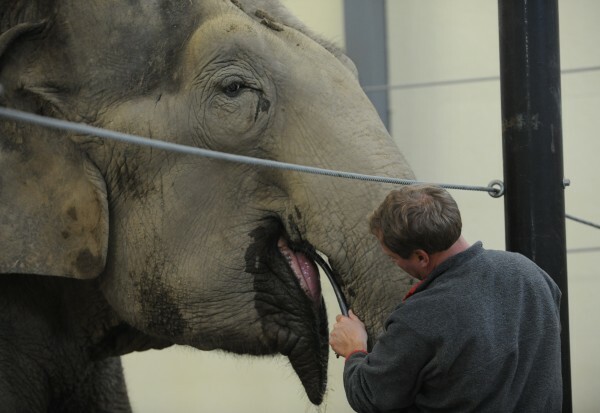 Rosie, an Asian elephant, is watered by Neil Delehey at Hope Elephants facility in Hope on Wednesday, Oct. 31, 2012. 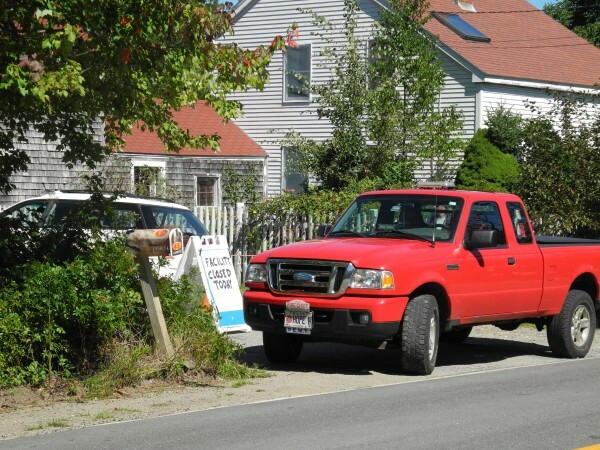 HOPE, Maine — The man who brought two retired circus elephants to Maine to care for them was killed in their pen Tuesday morning when he fell and was crushed by one of the 8,000-pound animals. Dr. James Laurita was 56. Mark Belserene of the Maine medical examiner’s office said after the autopsy Tuesday afternoon that the cause of Laurita’s death was asphyxiation and multiple fractures because of the compression of his chest. He said the death was ruled accidental. Laurita’s injuries were consistent with him being “accidentally stepped on” by one of the elephants after he had fallen to the ground, according to Chief Deputy Tim Carroll of the Knox County Sheriff’s Office. 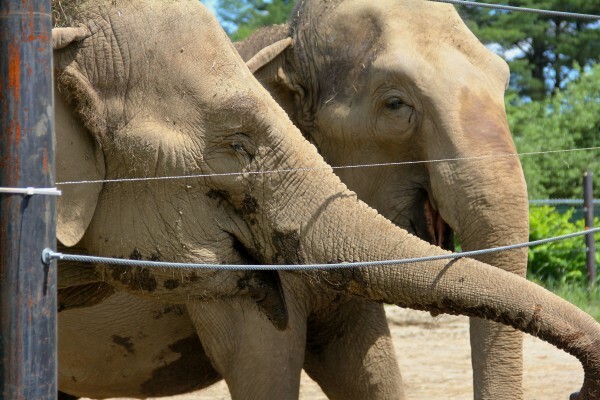 The elephant caused internal injuries and multiple fractures to Laurita, ultimately causing the asphyxiation, said Carroll in a press release Tuesday afternoon. The police did not release further information about how Laurita fell or what he was doing at the time. Hours before the cause of death was released, family and friends were gathering at the big barn and farmhouse complex where Laurita lived with his family and Rosie and Opal, the two Asian circus elephants. They spoke in small groups and embraced each other outside the residence. 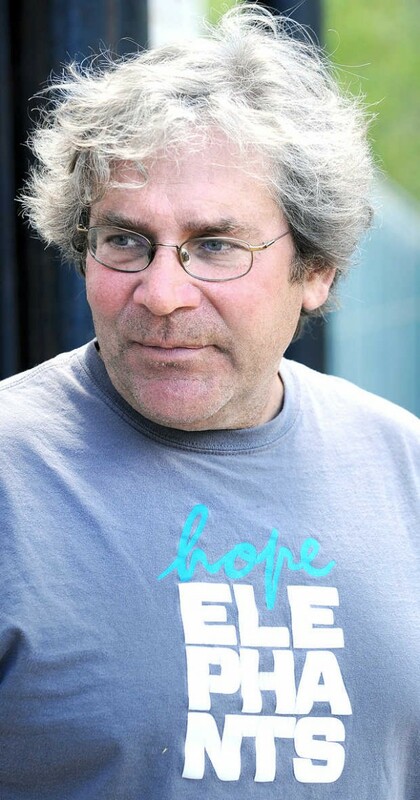 McInenny and Andrew Stewart, the director of Hope Elephants, said that it was much too soon to discuss the future of the nonprofit agency founded in 2011 by Laurita, a veterinarian, and his brother, Tom Laurita. The brothers had worked with the Carson & Barnes Circus in the midwest when they were young, and although they had a juggling act, they also had to take a second job and were assigned to work with elephants. That’s when they met Rosie and Opal, two Asian circus elephants, according to BDN archives. Later, Jim Laurita worked at the Bronx Zoo, as the head elephant trainer for a wildlife safari park in Oregon, and he traveled to India to work with elephants there, before settling in the small village of Hope and starting a veterinary practice in Rockport. But he and Tom Laurita never forgot the circus elephants they had met in the late 1970s. Rosie and Opal, each in their 40s, had to retire from performing because they suffered from significant health problems. They had gone to the Endangered Ark Foundation in Hugo, Oklahoma, after leaving the circus, but Laurita said that the Maine facility they created could offer care much more specific to their needs. Laurita said that when he met Rosie again after a gap of many years, the elephant remembered him. Laurita, a charismatic man whose passion for Rosie and Opal was contagious, was remembered Tuesday for his love of all animals. Cathy McClain of Northport said that he was a wonderful veterinarian and a very kind man. She said that when her dying dog was suffering on Labor Day years ago, Laurita came in on the holiday to euthanize her pet so that the animal wouldn’t have to suffer further. 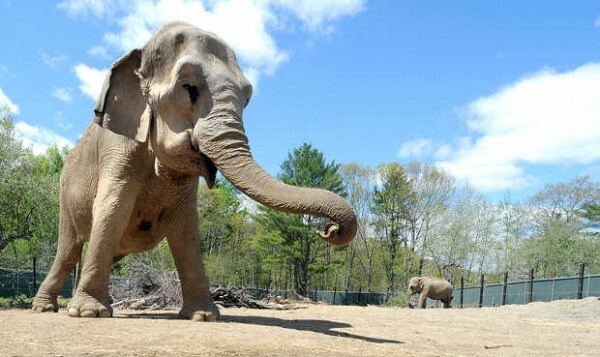 The Laurita brothers’ dream of helping Rosie and Opal ignited the imaginations of many people, both in the midcoast area and beyond, and they were able to build a 3,000-square-foot elephant barn thanks to more than $100,000 in donations. Behind the barn, the men used heavy-duty fencing to create an acre of ground for Rosie and Opal, and starting in the fall of 2012, they welcomed school groups and other people so they could learn firsthand about the elephants. The elephants came to Hope in 2012, and they were an instant hit with schoolchildren and others in the midcoast area, although they also were something of a lightning rod for critics. Some people and groups, including the People for the Ethical Treatment of Animals and the California-based Performing Animal Welfare Society, criticized Laurita’s dream as being poorly thought out and inadequate for the elephants. Naysayers said the barn and elephant yard were too small and in the wrong climate for the animals. But Laurita said he rejected that way of thinking. “We want to make their lives more comfortable,” he said then.